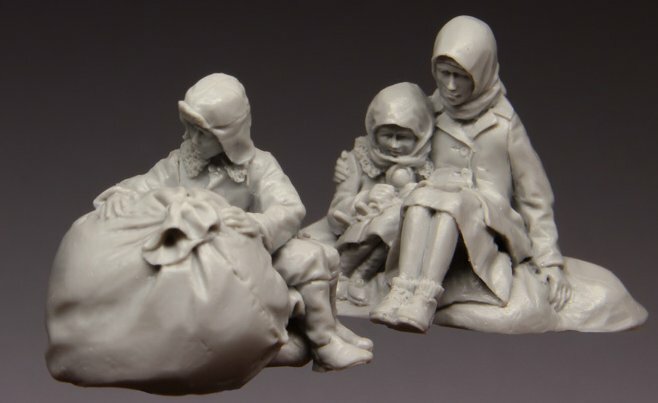 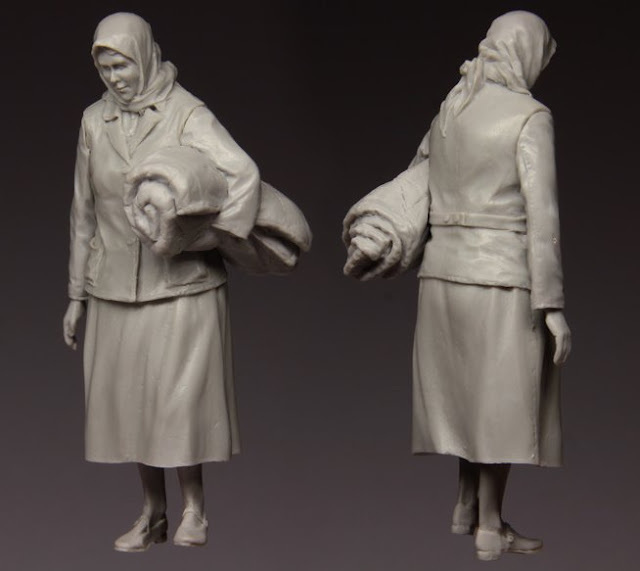 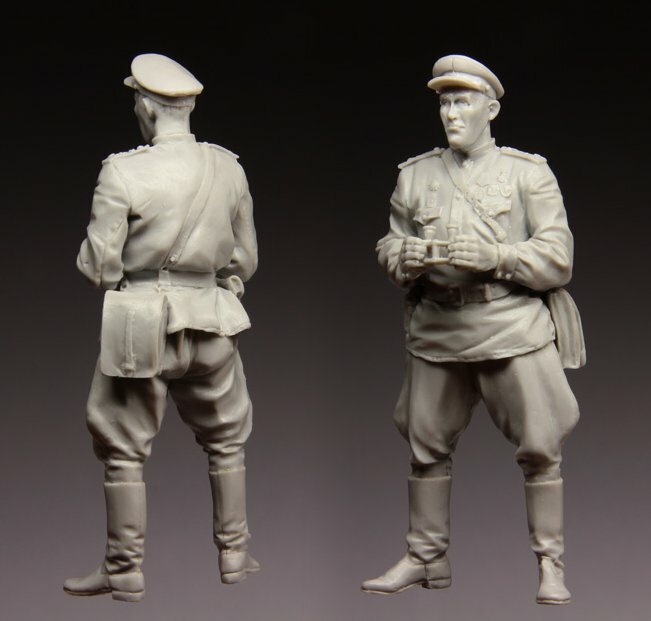 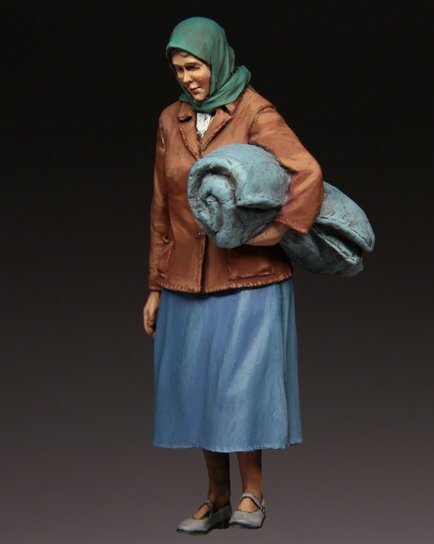 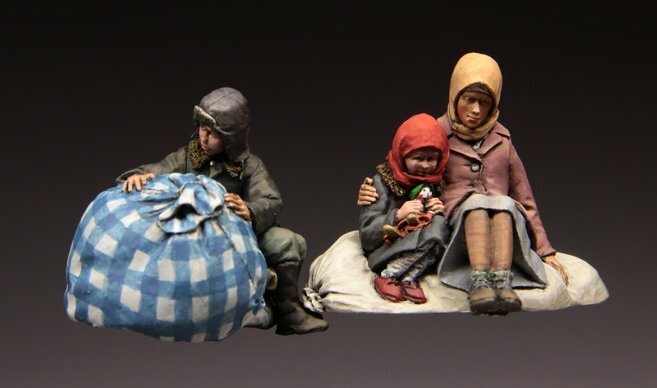 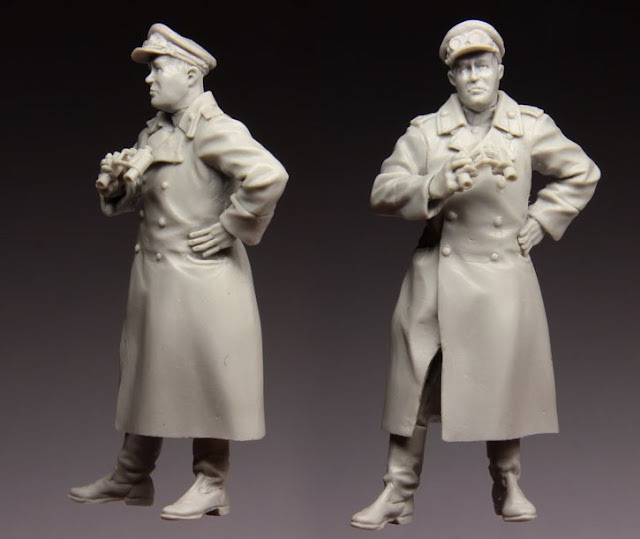 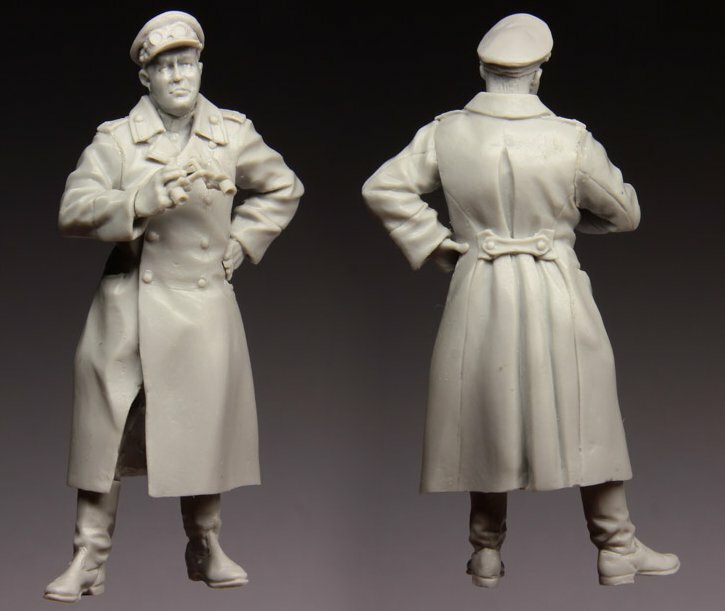 This month we see many new figure releases from Stalingrad miniatures from Russia – they have sent pictures and some info on some Russian figures this time – Early war refugees and late war Red Army Staff Officers who "definitely are not" posing for the pictures we have of them!! 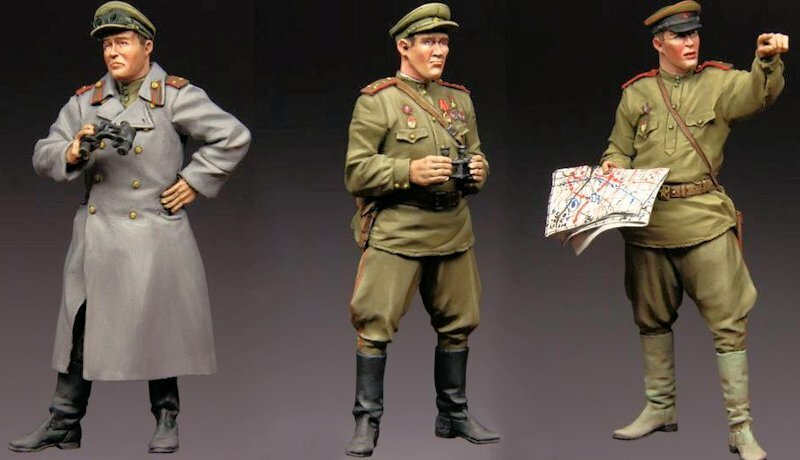 Stalingrad's new figures for December. 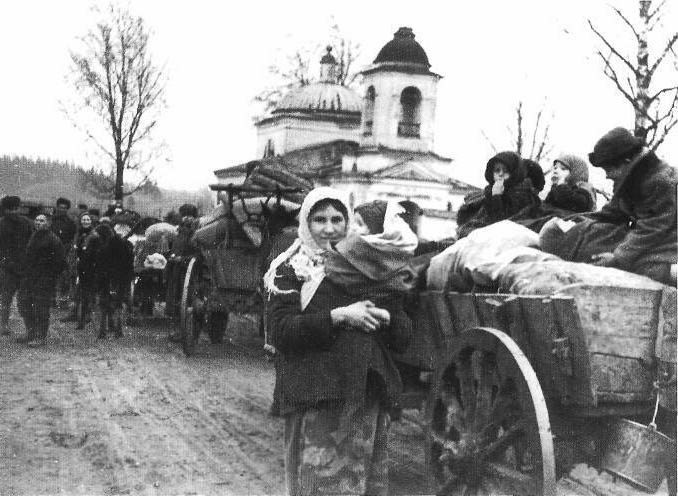 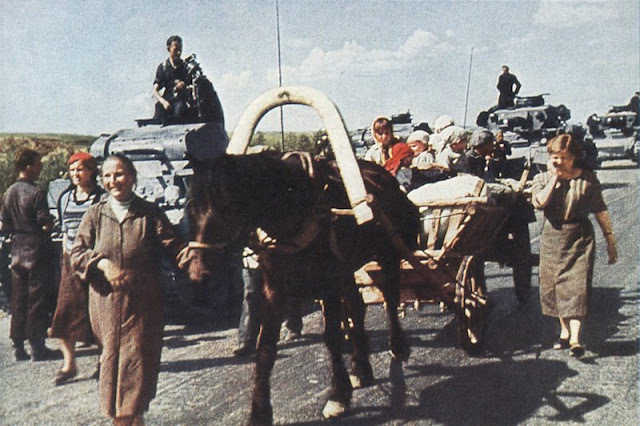 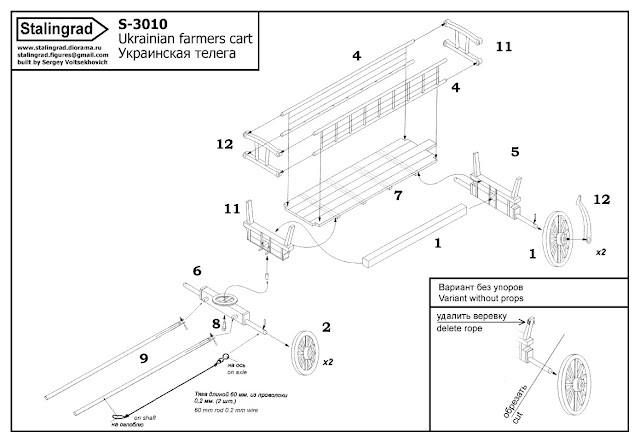 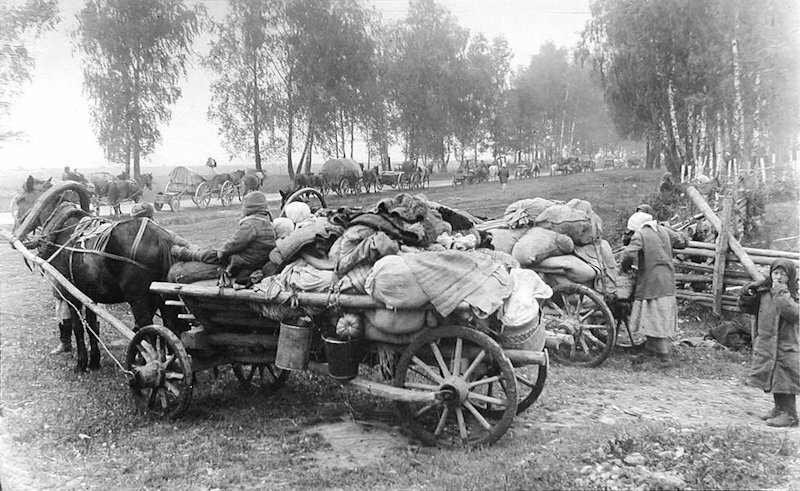 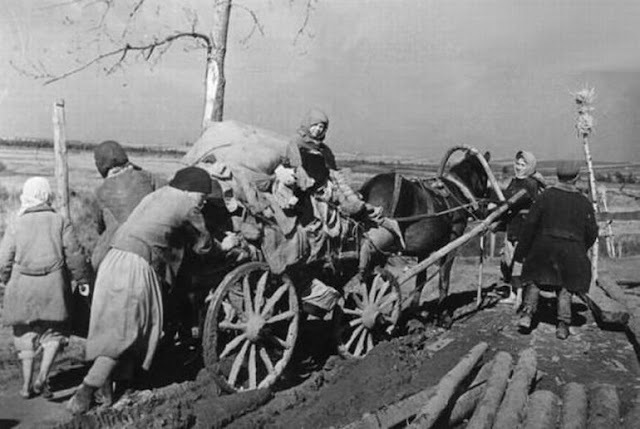 This cart – or “Voze” as it was called – was used thru the Ukraine and many other parts of the former soviet union - well it could be dated anywhere in the last two centuries really – but it is perfect for the flight from the German armies in operation Barbarossa – or indeed any time you need to portray refugees or disused antiquated equipment. 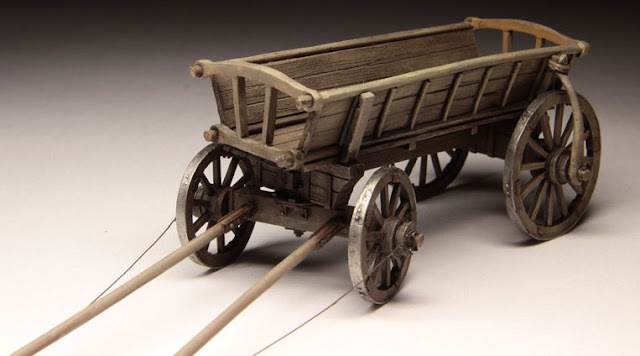 The resin itself is far from Antiquated – rounded logs and a blocky suspension and steering unit make this a bit of a cut above the other – still impressive – injection moulded carts out there – this would be my pick. 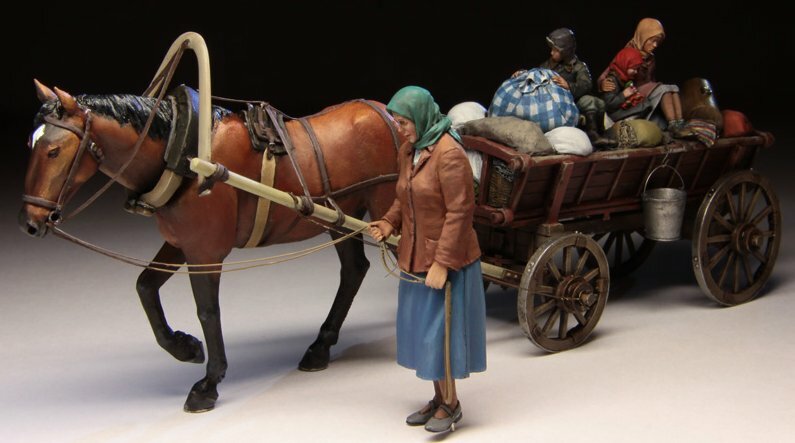 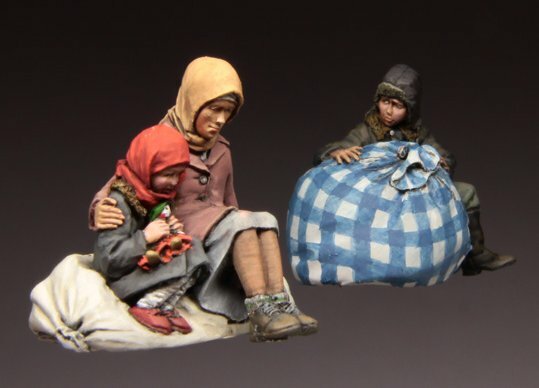 The refugees hitching a ride on the cart are shown to great effect in this painted up version of the kit. 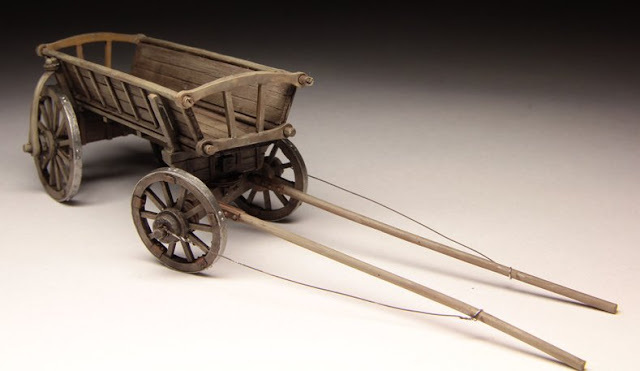 Complete with all of the stowage and worldly posetions this cart could take there is a resin insert to show depth, both from the front and the back of the cart as well as a mother and two children in peasant garb. 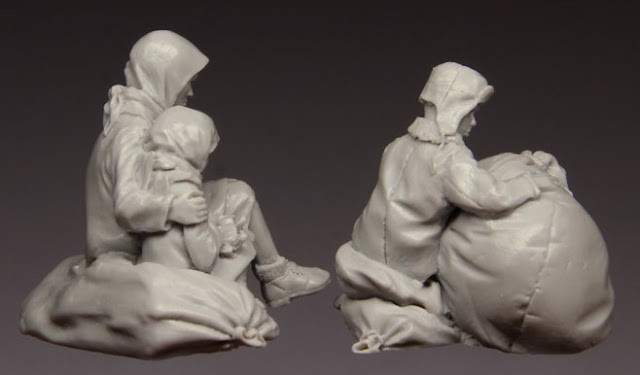 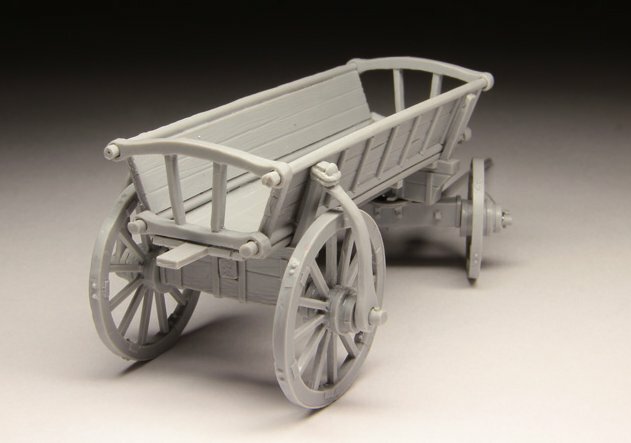 This is the smaller set of the #3011 kit – containing just the kids with their sacks to lean on – if you aren’t going to get the whole cart and mother well these would be great to have by the roadside whilst the war marches on past them. 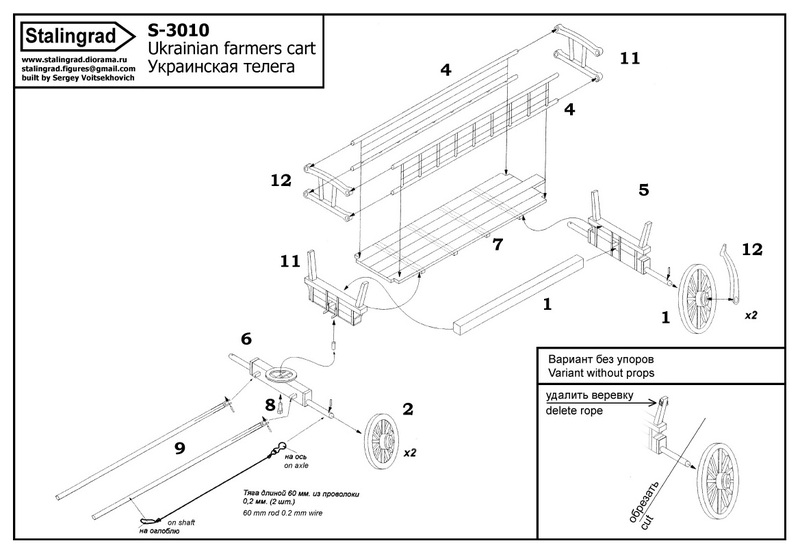 This Russian woman is the same as the one offered with the cart – just with a different arm and a bundle underneath it. Again I really like the way these soldiers are depicted – looking down at the ground in d a depressive state – and probably to avoid the glimpses from the invading German soldiers – surely nothing could come from looking them in the eye! 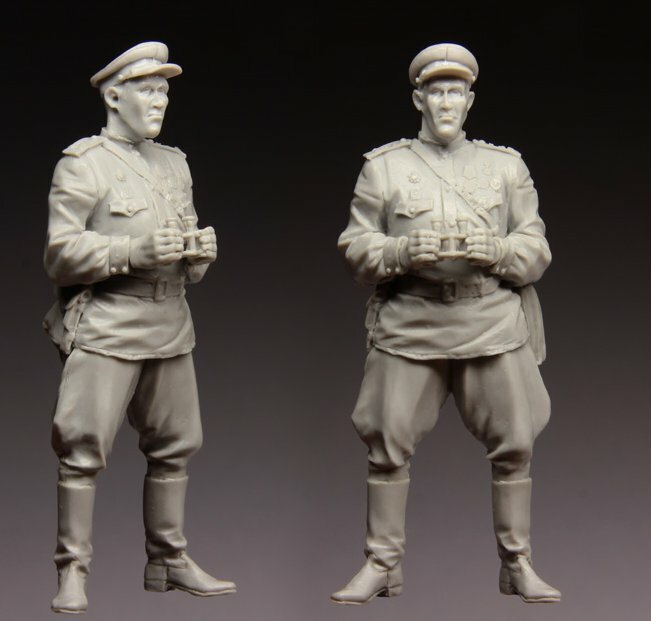 In these next shots – which look very posed for the propaganda reels – we see several officers of the Red army posing – they have been the inspiration of these figures you see here. 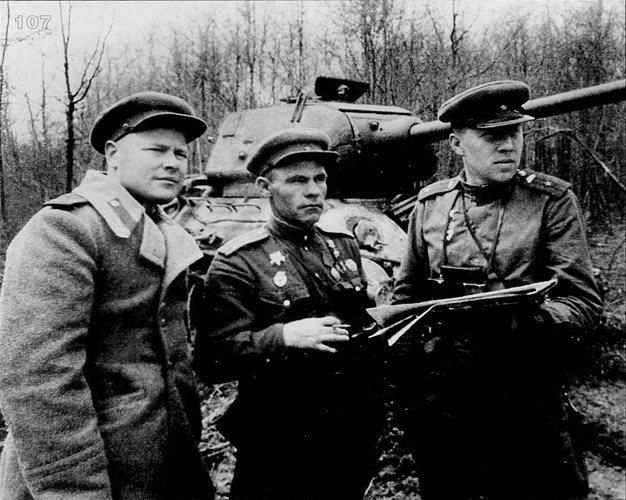 The staff officers of 64th Guard Tank Brigade. Brigade commander lieutenant-colonel Boyko, twice Hero of Soviet Union, in center.1st Ukrainian Front, May 1944. 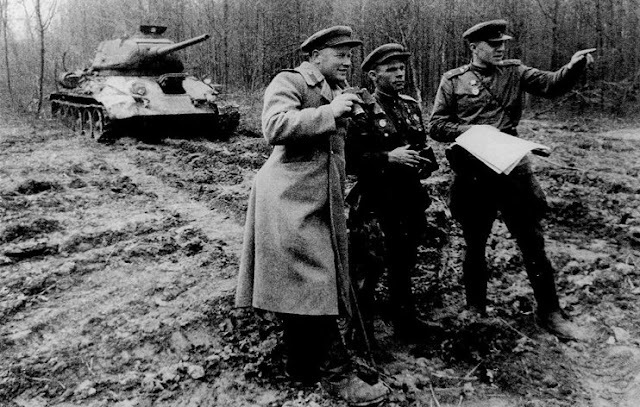 This officer of the Red army looks like he could be in the mechanized corps – a large weatherproofing greatcoat – an officer’s regalia clearly impressed on it – and some goggles on his officer’s cap make him a well-travelled – if slightly on the large side – senior officer of the Russian Army. 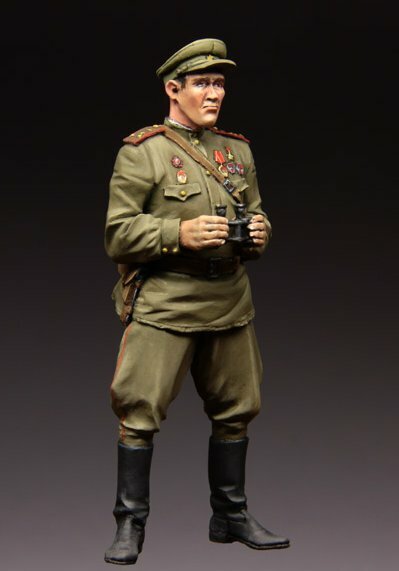 This – a slightly smaller man – has no fewer medals to prove his worth than his comrade – his small chest is adorned with them – whilst his smaller stature and interesting face are captured well by the sculptor. 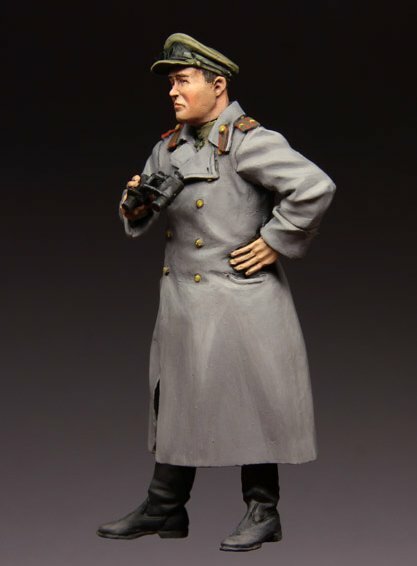 With his red piping on his sideboards and his leggings – this general staff officer carries some binoculars in his hands and appears to be looking – with his fellow officers – into the distance. 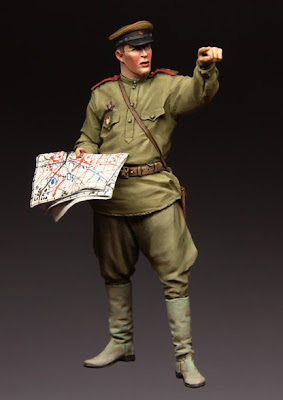 He also carries a large map case on his rear waist pocket. 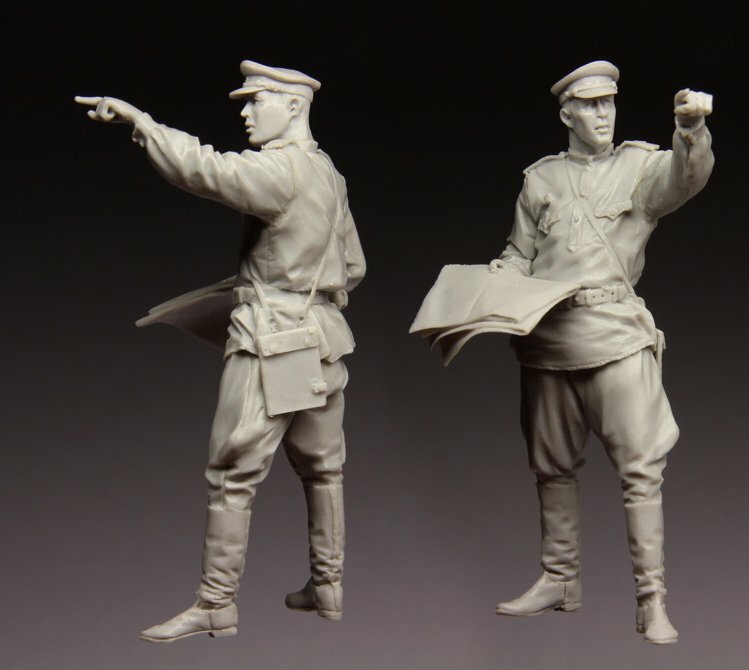 Pointing soldier alert! 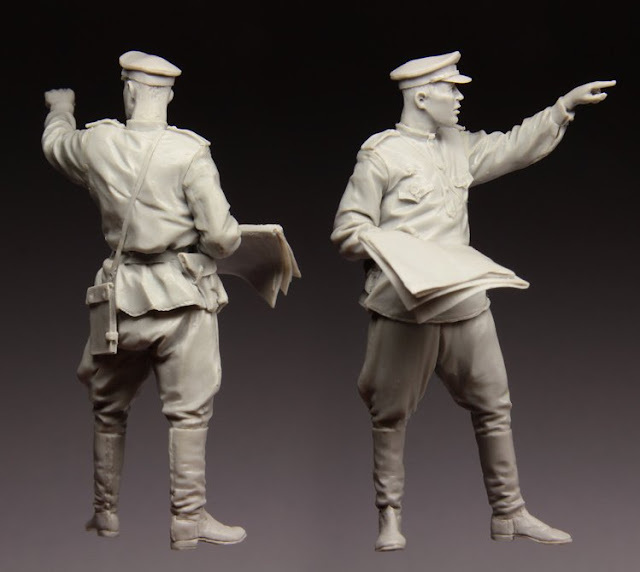 To keep this group from looking too staid the sculptor has made a good decision to add some life to the trio by making this officer a little more animated – he is pointing off into the distance toward what his fellow officers are looking on to. 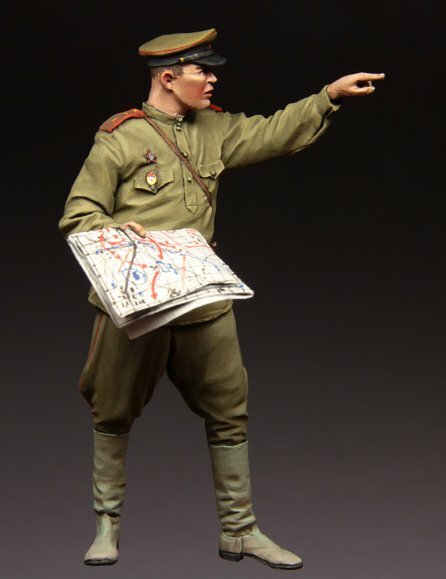 He is shown in the picture below in this pose – I know people say this is a little staged – but it IS a photo from the time and they are a dynamic little set.